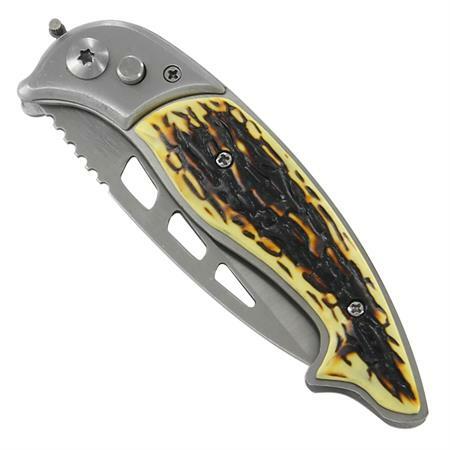 Bone Fishtail Automatic Opening Pocket Knife. Satin Finished 440 Stainless Steel Blade. Stainless Steel And Composite Scale Handle. Button Lock Opening Mechanism. Sliding Safety Lock. Spring Steel Pocket Clip. Overall Length: 8.25" Blade Length: 3.75"